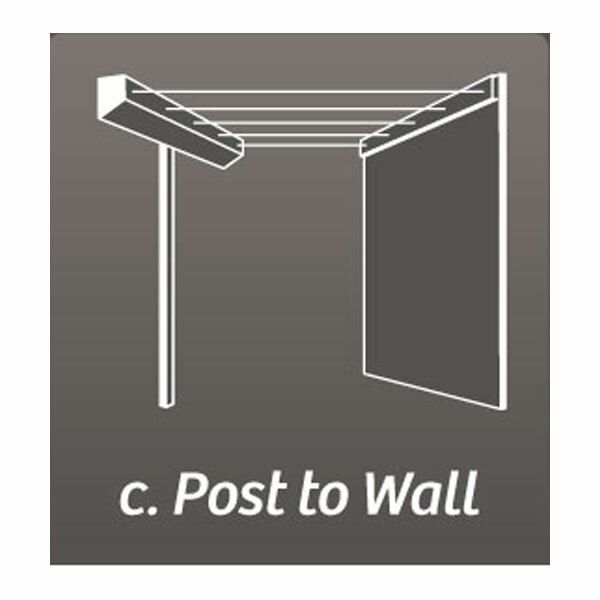 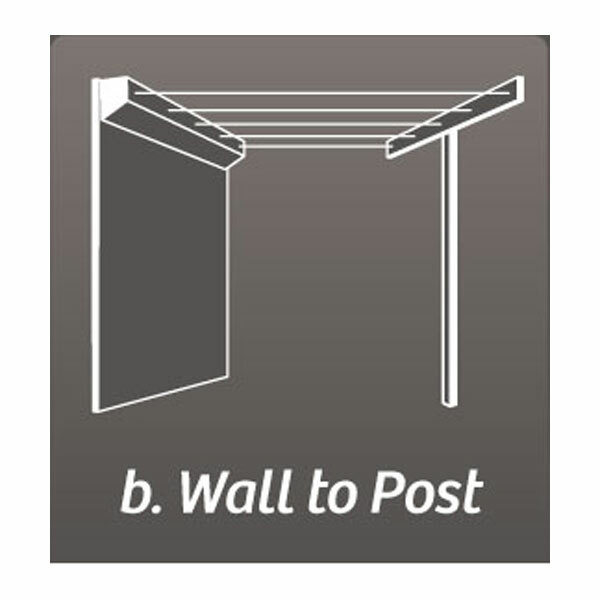 Retractable Wall Mounted Clotheslines - Shop Online - Free Delivery. 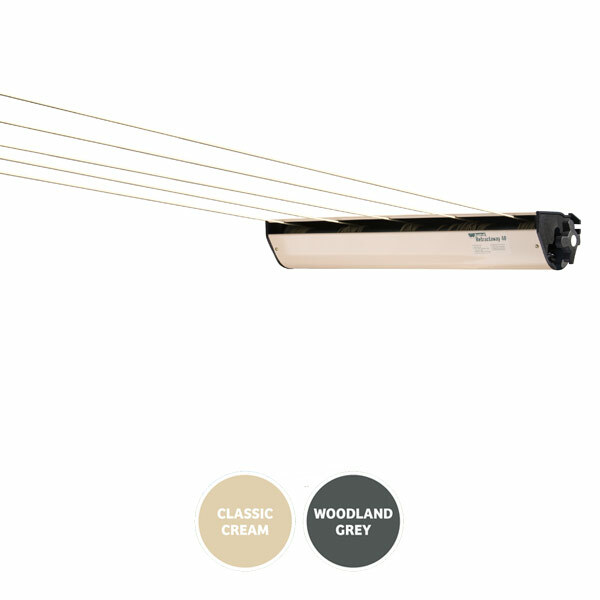 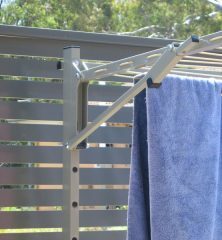 A practical wall mounted, retractable clothesline that extends up to 8 metres. 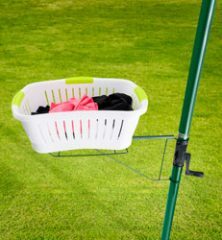 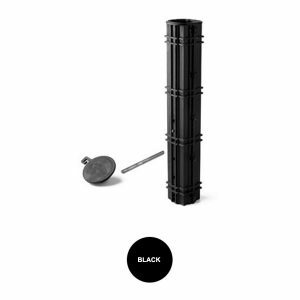 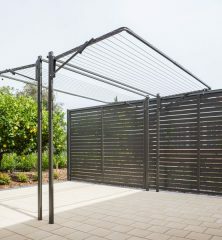 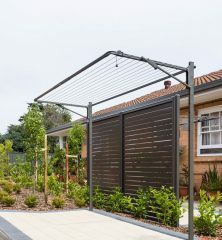 The Austral Retract Away retractable clothesline has a versatile 5 line and is suitable for use from a minimum distance of 2 metres and up to a maximum distance of 8-10 metres. 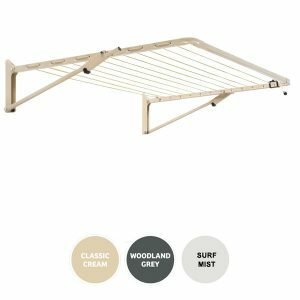 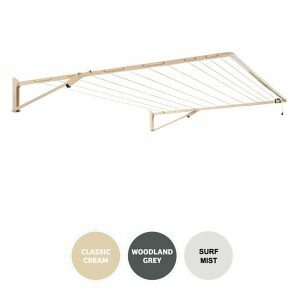 This convenient washing line is ideal for situations where aesthetics are important to the overall appearance. 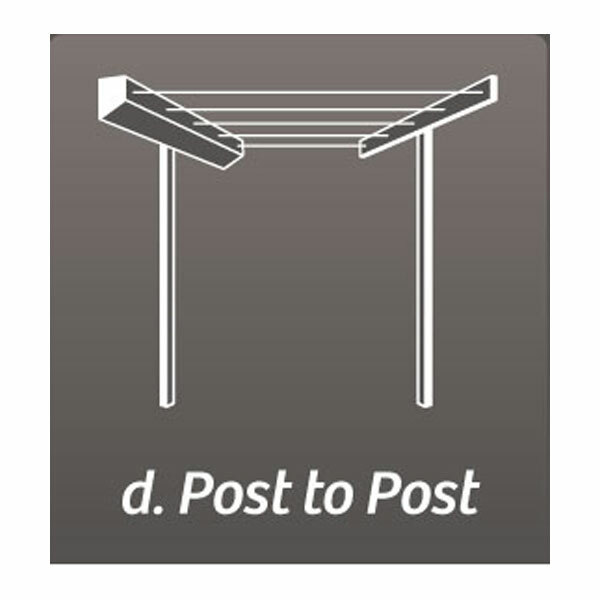 Cabinet Size : 800mm wide x 125mm high x 170mm deep. 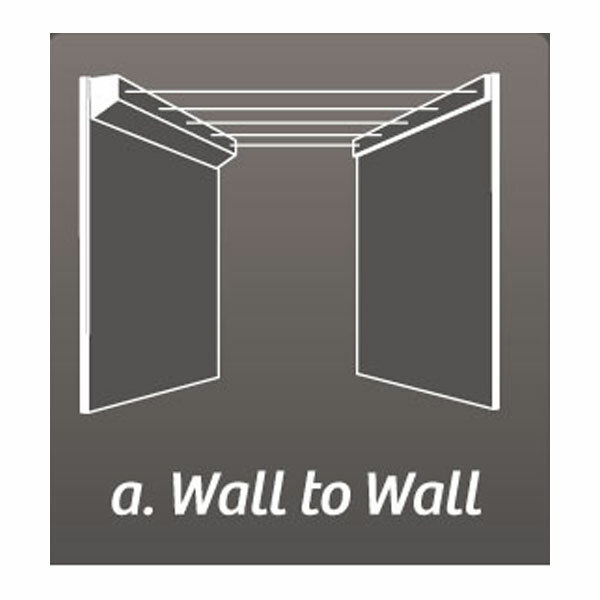 Line space: 5 Lines x 2m-8m. 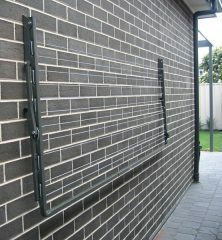 Lines will lock into place from a minimum of 2m to a maximum of 8m. 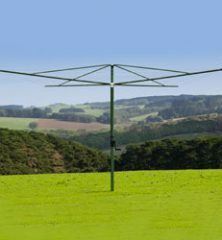 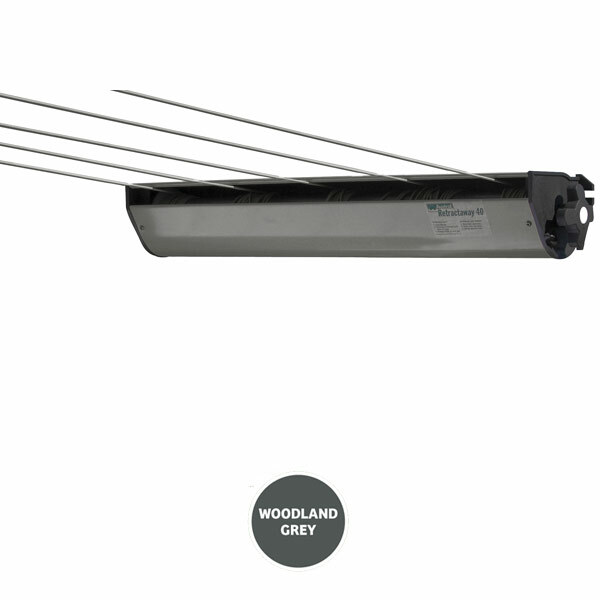 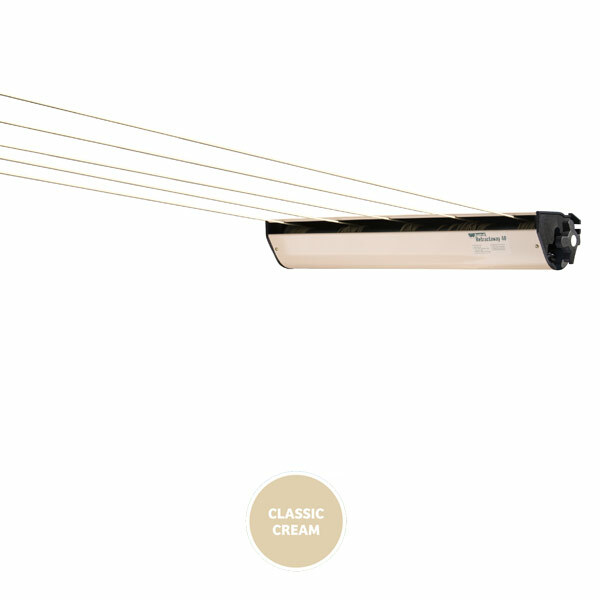 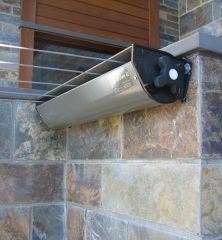 The Austral RetractAway 40 retractable clothesline is equivalent to the Hills Hoist XL Retracting Cabinet clothesline.